The Tesla Model S was the second vehicle from this manufacturer of high-end, all-electric cars. The company’s first car was the Roadster, an all-electric, 2-door, 2-passenger sports car. The Model S was a 4-door sedan that accommodated up to 7 passengers. The Tesla Model S was all new for the 2012 model year. According to Tesla, it was built on a dedicated platform that was designed from the start as an electric car, not an adaptation of another vehicle’s chassis. The company’s first car, the Roadster, was based on the Lotus Elise exotic car. 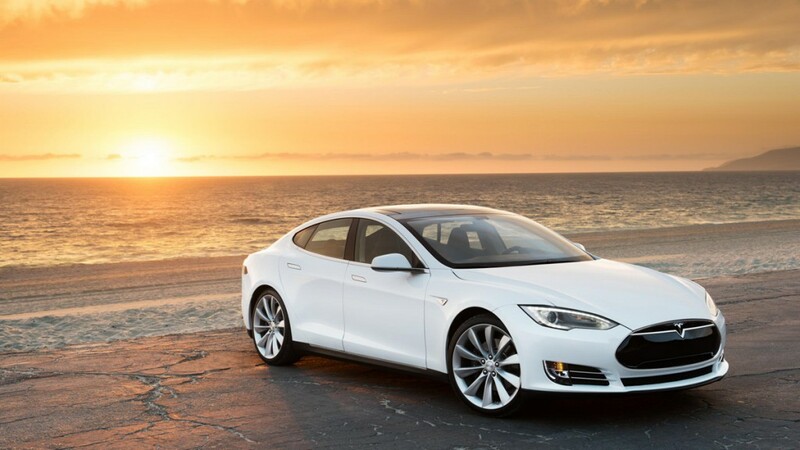 The Tesla Model S was initially sold in two trim levels: base and Performance. It came with a 17-inch touchscreen, 19-inch wheels with all-season tires, cloth upholstery with vinyl accents, and a choice of battery packs: 40 kWh, 60 kWh, or 85 kWh. Performance models included the 85 kWh battery, exterior carbon-fiber accents, air suspension, “sport-tuned” traction control, performance wheels and tires, and what the company called a high performance drive inverter. Options across the board comprised a choice of body-color or black-painted roof panel, all-glass panoramic sliding roof, unique 19- and 21-inch wheels, leather upholstery, special paint, and upgraded audio system. The Tech Package included xenon headlights, self-dimming rearview mirrors, LED foglights, power rear liftgate, rearview camera, universal garage door opener, and navigation system. Two rear-facing child seats installed in the cargo area that folded into the floor when not in use were optional. The first 1,000 Model S units produced were called Signature, and came in Signature and Signature Performance trims. Signatures included the 85kWh battery pack and several luxury features that were optional on subsequent vehicles, such as leather upholstery and interior accents, leather upholstery with faux-suede inserts, special paint, air suspension, and 21-inch wheels with high-performance tires. All Model S trims included a charging cord and three adapters for 120-volt and 240-volt outlets and the common J1772 plug found at public charging stations. The standard on-board 10 Kw charger was said to provide up to 31 miles of range per hour of charge. Optional was an on-board 20 kW charger that gives 62 miles of range per hour of charge. An available wall charger was designed to be installed in an owner’s garage or parking area. Additionally, Tesla started setting up a network of public charging stations called Superchargers that were said to replenish an 85 kWh battery with 160 miles worth of range in 30 minutes. As stated above, the 40 kWh battery pack provided a driving range of 160 miles, the 60 kWh was good for 230 miles, and the 85 kWh battery took the car 300 miles. 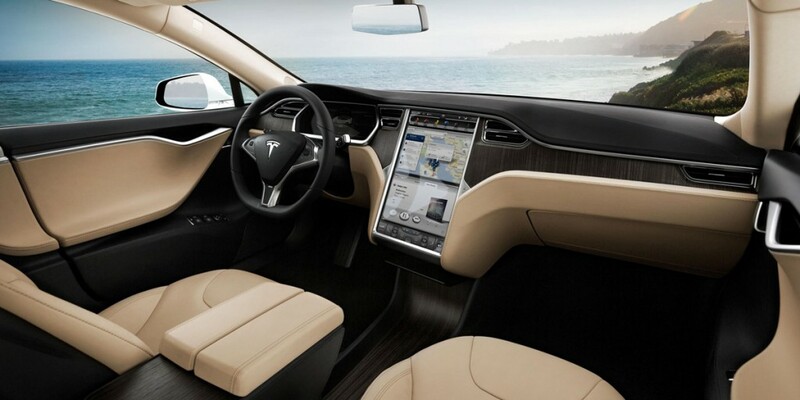 There were few changes for the 2013 edition of the Model S, but the cars were now able to receive over-the-air software updates. 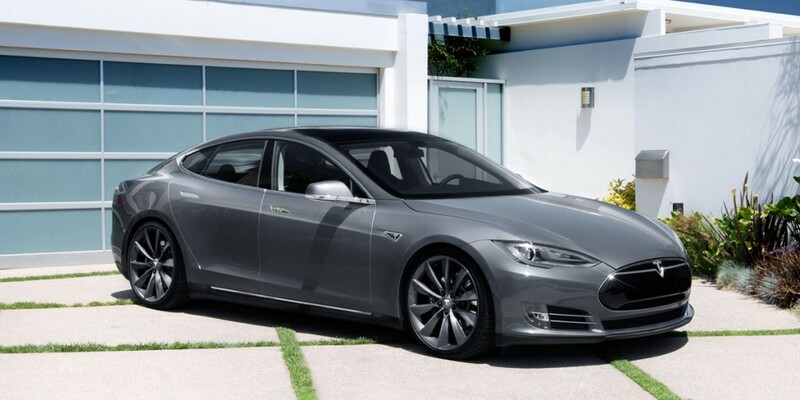 Late in 2014 Tesla announced that all-wheel-drive Model S variants would be available, and these models would include a second electric motor that powered the front wheels. 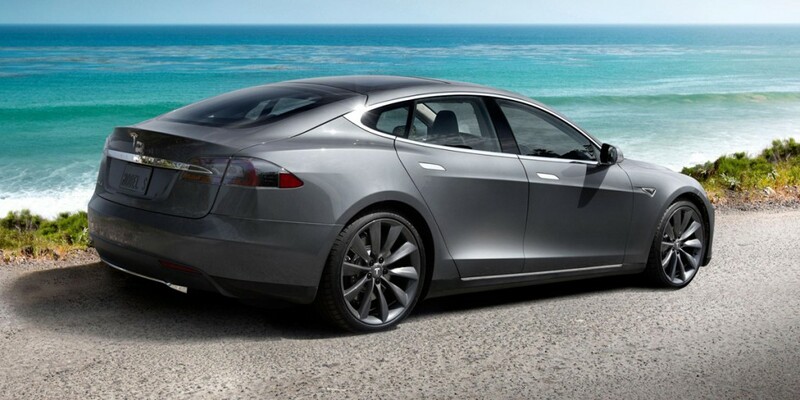 The Tesla Model S uses electric motors hooked to the rear wheels through a single-speed transmission. All-wheel-drive variants use a second electric motor that powers the front wheels. Three different battery packs are available and offer different amounts of driving range (estimates shown are for rear-drive Model S variants): the 40 kWh pack delivers about 160 miles, the 60 kWh yields about 230 miles, and the 85 kWh pack provides about 300 miles. Performance figures are as follows: 0-60 in 6.5 seconds, 5.9 seconds, or 5.6 seconds, and a top speed of 110 mph, 120 mph, and 125 mph, respectively. The Performance model uses the 85 kWh battery pack but will, instead, go 0-60 in 4.4 seconds and achieve 130 mph. 1. 40 KWh model. 2. 60 KWh model. 3. 85 KWh model. 4. 85 KWh Performance Model. 5. 85 KWh AWD model. 6. Note that all fuel economy numbers are in MPGe. No Tesla Model S vehicles have been made available for Consumer Guide evaluation. Model Tested: No Tesla Model S vehicles have been made available for evaluation. Description: Certain 2012 through 2015 model year Model S vehicles made between May 31, 2012 and November 12, 2015 may have front seat belts that were improperly connected to the outboard lap pretensioner. Description: Certain 2013 model year Model S vehicles may have a NEMA 14-50 (240 volt) Universal Motor Connector (UMC) adapter that can result in the adapter, cord, or wall outlet to overheat during charging. Description: Certain 2013 model year Model S vehicles may have a weakened weld between the left hand seat back striker and the vehicle’s frame.